While at Ball State University and Lansing Community College, T.J. studied wildlife biology, drawing, and design. One of his first paintings, "Watchful Whelp" won first place in California Wild Cat Art 2001, judged by Simon Combes of Kenya. Led by world-class migration master, Michigan apprentices were given a personal tour of King's Canyon National Park and Sequoia National Park. The 2004 safari with Combes to Kenya and Soysambu was life-changing. We remember of Simon there. 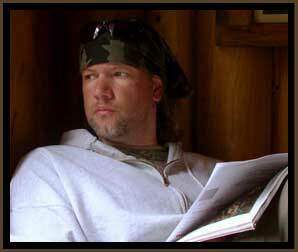 In 2003, T.J. was featured artist for the Detroit, Lansing, and Grand Rapids Outdoor Expo. 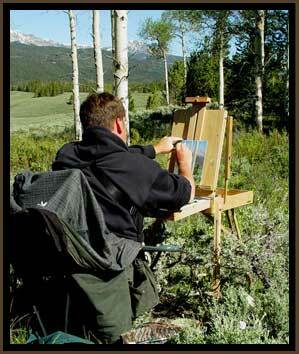 In 2004 he won a 1st, 3rd, and People's Choice Award in the 55th annual Wind River Valley National Art Show. He also garnered the Purchase Award with "Torrey Canyon Red-Tail", which now hangs in the permanent collection of the Headwaters Art Center. 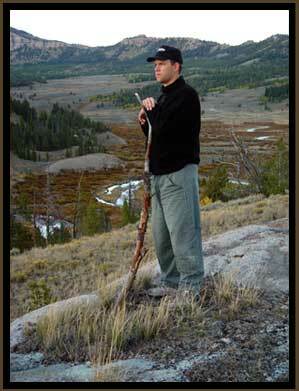 TJ was honored to be chosen as judge for the 2004 Audubon Wildlife Art Show in Lander, Wyoming. TJ enjoyed a one-man show at Founders Trust, a benefit for John Ball Park Zoo there. Small but exotic animal models attended as well. 2010 was the fall he became a signature member of the Society of Animal Artists. In early 2011 TJ was chosen for the Society of Animal Artists 51st Annual Exhibition (now on U.S. tour) where he was presented with the S.A.A. Leonard J. Meiselman Memorial Award for "Inside The Throne Room". Not yet did he feel the exhilaration of the backward dunk bringing a sports crowd to its feet, but the august company of L.J.M previous artist recipients remains both humbling and exciting. He won "Art of the West" magazine Wildlife Award of Merit at the Scottsdale Salon of Fine Art in 2011 for "Steppin Out" –lynx- and is honored to be part of the 2012 show with "Wild Catalina". In 2011, "Master of the House" was included in the Masterworks in Miniature show at Trailside Gallery in Jackson, WY. TJ's miniature depiction of American bison, "Lamar Valley Vagabonds", is included in the 2012 show. In the summer of 2012, as a member of the 6 artist group- Great Lakes Nature Artists- T.J. along with close friends showed new works in the inaugural "A Natural Selection" at the Twisted Fish Gallery in Elk Rapids, Michigan. It was T.J.'s good fortune to receive Best in Show in the Richeson75 Online Animals, Birds and Wildlife Show in December of 2012. His painting "First Light" was chosen by the field of submitting artists, we are joyful and humbled.